Suspended in a void over the staircase in the glass atrium hangs “Filter”. This personal, yet generic figure invites each of us to practice the art of solitude and to reflect on what it means to be human. To become aware of the life giving beating of our heart and to slowly begin the work of accepting and welcoming who we really are. To cease striving and just ‘Be’. Be aware of both our material and spiritual existence, our external physical body and the deep space that is our interior nature. To be at home both within our body and our soul and to discover that we are all on a journey of becoming. In his own words, “The work is a point between origin and becoming. Like a seed, between death and the new life there is a point of stasis and silence, a time for reflection. Sculpture can use that time”. Antony Gormley is one of our nations most celebrated contemporary artists best known for his ‘Angel of the North’ – an iconic sculpture situated on a hill on route to Newcastle. 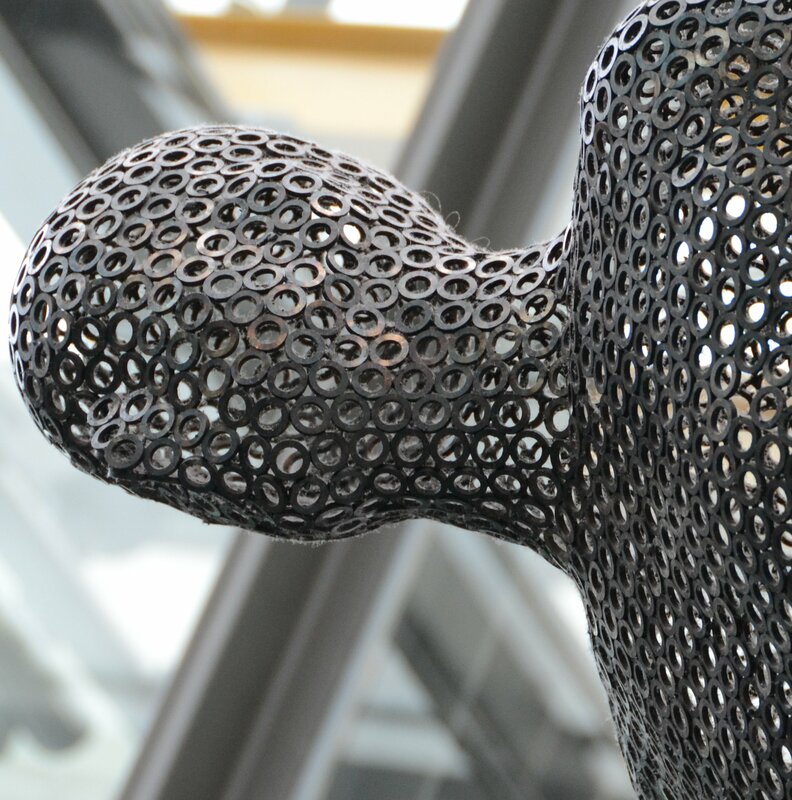 Much of his work is based upon his own body, literally an embodiment of the artist himself. 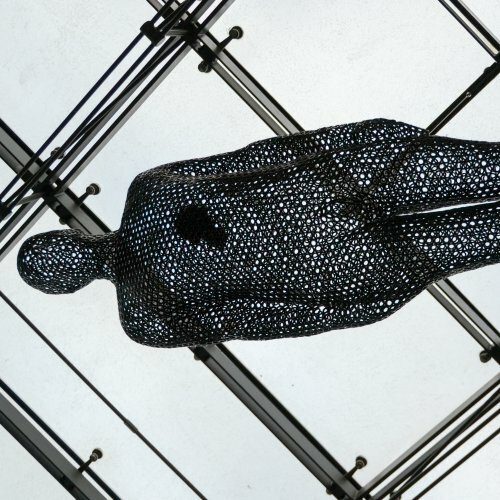 Raised a Catholic and attending a Benedictine boarding school in the 1960’s, Gormley learnt the spiritual disciplines that have continued to shape his art work and the processes involved in their making. His spiritual journey continued when he spent three years in India where he became interested in meditation. 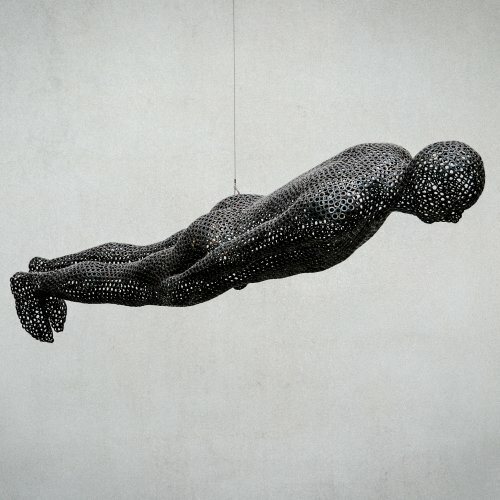 Each sculpture begins when Gormley’s vulnerable, naked body adopts a chosen position before being wrapped and completely encased in jute cloth and plaster. Cut off from the rest of the world for an hour or two in his plaster tomb, the artist has learnt to be perfectly still, alone with his thoughts in a blackened space and a heightened tacit knowledge of his own body as the cold wet cloth dries to a hard solid form around him. He writes, “I am trying to make a case for a man containing the boundless space of consciousness……. Part of my work is to give back immanence both to the body and to art”, suggesting that spiritual presence permeates all created things. Click here to read the reflection and praxis for this art work.